Spring is upon us! 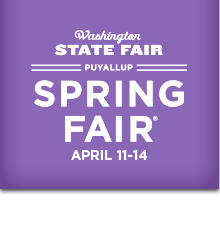 Come celebrate the beauty of spring at the Washington State Spring Fair April 11-14. 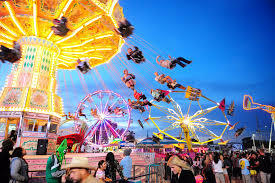 You and your family can enjoy exciting rides, farm animal exhibits, a variety tasty fair foods, comedy, live music, and more. Purchase tickets online by April 10 to save up to 31% on admission and rides! Get tickets on your phone. Save time and avoid the lines, purchase mobile tickets. Rides, Food & Animals. Get Tickets On Your Phone. Print Tickets At Home. Gate admission is FREE to all active, retired and reserve military and their dependents, plus disabled veterans with a valid military ID at any Fair gate all day on April 12th.